It is rare that I feel moved enough by a service or experience to sit down and write a testimonial, but I can’t hold back in the case of Dr. Davis. I cannot recommend him to potential Botox patients enough; I especially hope through sharing my story to offer guidance to potential patients who have either had their own unhappy past Botox experience, or who just generally fear unwanted consequences or bad cosmetic results. Clearly this is the kind of cosmetic intervention that requires both artistic skill and scientific expertise, and lots of practical experience, and that is what I have found in Dr. Davis. I am a new Botox patient of Dr. Davis’ and I came to him recently after having tried Botox once, in my twenties, when I’d first started to notice visible horizontal lines developing on my young forehead. I had a memorably terrible cosmetic result with that past Botox experience – my brow collapsed and I looked frozen and angry for months until the Botox wore off – and I had abstained from considering Botox again for many years because of that past experience. I recently turned 40, however, and over the last 10 years, my horizontal forehead lines had become increasingly deep. Since they began to appear so early for me, they have always looked inappropriately deep and obvious for my age, and have never matched the appearance of the rest of my face. I’ve become increasingly self-conscious because of them, and have had a growing desire for some kind of cosmetic intervention for years, but I just couldn’t get past feeling like I’d only get a terrible result if I tried Botox again. I just had no way of knowing if the bad first result was because my personal anatomy made me a bad candidate for Botox, or because the cosmetic surgeon I saw years ago just didn’t have the level of skill or experience my situation required. But while I was still feeling burned by my bad past experience, my deepening lines had finally left me open to considering a new intervention. I did a lot of research before discovering Dr. Davis’ practice. 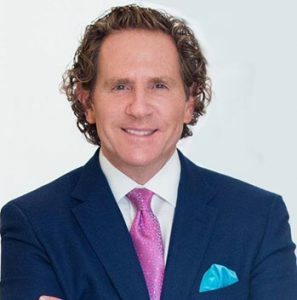 One of the things that most impressed me about Dr. Davis was knowing that he had such broad and deep Botox experience and expertise that he regularly trains other providers on the use of Botox! This made me feel comfortable and confident enough to meet him, so I made the appointment, still on the fence about whether or not I would feel brave or ready to try again. From the moment I met with him, I felt heard, I felt understood, I felt like he had a keen eye for identifying what my anatomical issues were (my forehead is very small and so my case is not a straightforward one), and before I even got to tell him, he knew what my past experiential issues with Botox must have been. Dr. Davis spoke compassionately, honestly and in meaningful detail with me about how we could work toward improving or eliminating the appearance of my lines without causing my brow to drop or costing me an unnatural or aesthetically unwanted result. His emphasis on taking slow steps and being conservative in approach would provide time and opportunity for us to tightly manage the intervention and deliver the best outcome. He put the control back into my hands that I felt I didn’t have the first time I tried Botox many years ago. Dr. Davis really is a professional whose practice is truly patient-centered. From a patient’s perspective, I have to affirm how valuable that is, and how scary it can be when you don’t have that sense of safety that can only come with feeling heard and understood. He hears not just the aspirations, but the concerns. He helped me to feel confident that no, I did not just have to sit back and accept my lines or risk an angry looking or unnatural cosmetic result. I did have a third option. He helped me understand why my case was a little complex, made me feel comfortable with and welcome in all of my complexity, and assured me that together we could slowly move toward the desired result. I trusted that I’d found the doctor who could help me, and we started the process that same day. Dr. Davis and I ultimately met four times over the course of five weeks to address the different areas of concern and to see progress unfold before taking more steps. Today, I am beside myself with happiness over my results; just thrilled. My only regret is that I did not find him sooner, but I am so glad that I have Dr. Davis in my life, now. All I needed was a careful, attentive, precise intervention and many years of lost confidence have come back. I am thrilled to share that I have a result I absolutely love and will be sticking with him to maintain it. Rarely can you find a cosmetic surgeon whose bedside manner is as stellar and genuine as his technical skills are truly superior. Dr. Davis’ incredibly genuine and kind spirit, and the warmth of his whole support staff, made this whole process so comfortable, so accessible, and frankly, so empowering for me. He gets more than ten stars from me. Thank you for what you’ve done for me, doc! — L.S. Wow, Fabulous and over the moon…I love you all. Dr. Davis is an artist. He is kind and gentle. My experience was flawless. I had a tummy tuck, and to me, it was a major overhaul. For a 64-year-old woman to have the confidence to slip into a bikini six months after surgery, well let me tell you…I looked GREAT. To be able to tuck in a top…wear a belt and not to look lumpy is a fantastic feeling. I have received so many compliments from people…they notice something is very different, but they don’t know what. I am not sure if it is how great my body looks or just my new confidence. Thank you, Dr. Davis and your wonderful staff. — Nancy B. My skin is about to be on another level! Thank you Dr. Davis. As a journalist I have interviewed hundreds of medical professionals. Without a doubt Dr. Davis is one of the best Board Certified Plastic Surgeons I have encountered. His knowledge and patient care is truly above the rest. It’s no surprise Dr. Davis has been recognized as a “Top Doc” in Southern New Jersey. Total experience was phenomenal, the entire staff was extremely professional and personal, not to mention beautiful. Now DR. DAVIS is a top rated professional and so knowledgeable, even drew diagrams and detailed explanations about procedures. On a scale of 1 to 10, a solid 10. I wanted to take the time to tell people my experience although I am still in the stage of under 12 weeks. I set my appt for one week later and I’m 8 weeks an I saw my pictures I was shocked. The procedure does last one hr and off you go to your regular activities. The first 4 minutes I was a little discomfort but nothing that i couldnt handle from 4-6 minutes the uncomfort subsided and the rest was a piece of cake. Even the massage that people say is uncomfortable was nothing Day 1-7 some nights I had itchy feeling but honestly I could deal. I just needed to find the right spot to sleep. . As most people read do not expect to wake up and see results you may swell, bruise etc. I would suggest measure yourself in the area that you are getting done. You will see results but this is a process. You may have to do it again, or you may need other procedures to enhance the body only you envisioned. My advise to all let this be the start of a new path for you. Use it as a tool to motivate you.